NZ's Best Carpet Deals At Your Door! The best place to choose carpet is your own home. 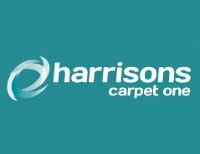 That's why Harrisons Carpet One comes to you any time, and anywhere. We have a nation wide fleet of mobile showrooms. We will turn up with a huge range of carpet samples and provide professional color advice, followed by a free measuring and quote service. We back up our service with our peace of mind warranty program. You can't do better than that! After you chose your new carpet, our carpet installation team will ensure everything is fitted correctly "carpet laying at its best"
For more information, styling and carpet care tips, our interest free finance options and of course to view our great range of quality carpets, and special deals, please visit our website by clicking the above link or dial or toll free number to arrange a free measuring and quote service in your home. We have the range, quality and advice you need to carpet or vinyl floor your home. With heaps of options, we make it easy for you to be inspired when redecorating your home or choosing the best finish for your new home.